Summer SAILstice is a global celebration of the start of summer. Last year over 17,000 sailors kicked off the sailing season by hooking up with a SAILstice event! It’s not just for RL sailors, though. Virtual sailors are welcome to join hands with the SAILstice community as well. 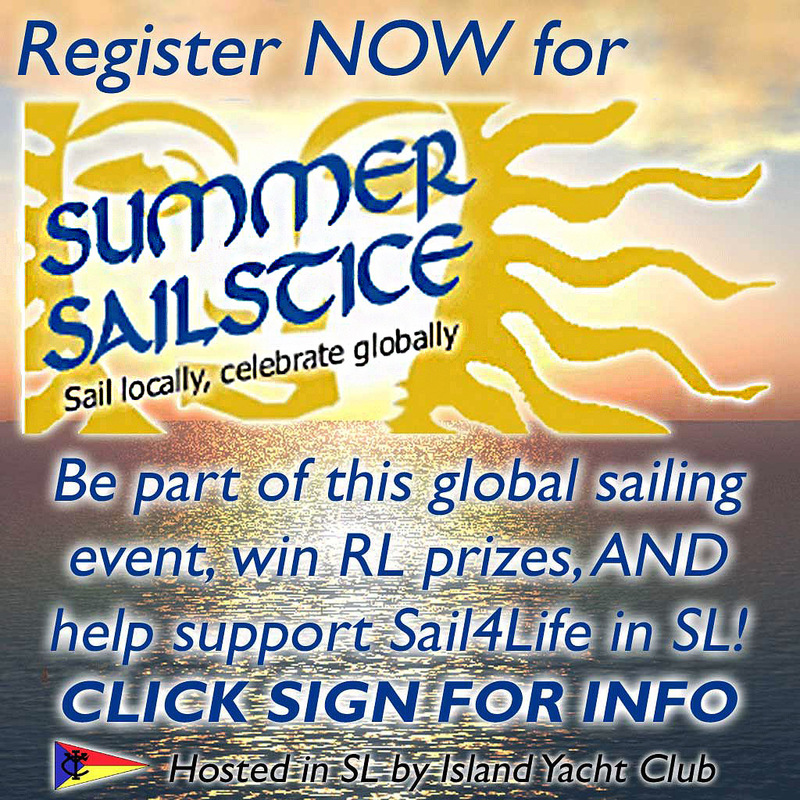 Dale Irata from SL’s Island Yacht Club has made it easy to get connected, and you can even support Sail4Life while you do it. Just click on any of the in-world posters that have the above logo and you’ll get all the links and info. While you’re there, you can even pick up a S4L Teeshirt! There’s no excuse if you’re not signed into SL, though. 🙂 Here’s a link to Dale’s SL SAILstice webpage that will tell you what it’s all about! ← Quest Marine Q-44 by Qyv Inshan… new mesh version!